Wide format printing a very useful tool for many applications for us in the sign trade. 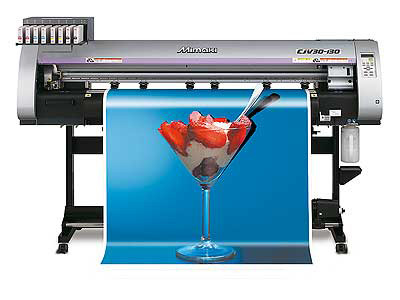 Using wide format printers enables us to print on roll media up to 60" wide. So we use sticky backed vinyl, canvas media along with a large roll of paper and banner materials. We often print posters at 60x40 inch for one of our larger customers. Used to produce full colour images that can be applied inside or out. Used to produce our high quality cavases supplied with frames. Used to print Posters, and other advertising items. Used to produce banners suitable for indoor or outside use.